The Koh Lanta to Krabi Town Express Transfer is the quickest way to get to Krabi Town from Koh Lanta, combining a car transfer from your Koh Lanta hotel to Saladan pier, a speedboat ride from Koh Lanta pier to Krabi Pier, and an air-conditioned minivan from Krabi Pier to Krabi Town. 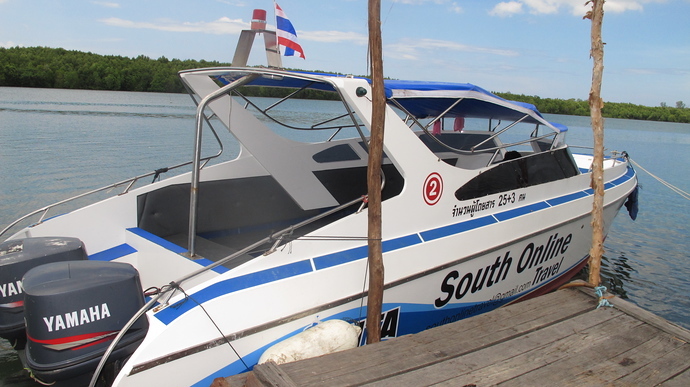 The speedboat from Koh Lanta departs at 12:30. Your pickup time depends on the location of your hotel on Koh Lanta. When you select your hotel from the list below, it will automatically tell you your pickup time for the transfer. Still need to book your Krabi Town hotel? We have fixed pickup time of 12:30 departing from Krabi Town. The full price is payable in advance. You can pay through PayPal using any major credit card by filling in your details and clicking the Pay Now button above. You do NOT need to be a member of PayPal to make the booking. We will then send you a confirmation of your Express Transfer to print out and bring you. PayPal will also send you a receipt for your payment. If you cancel your transfer at least 24 hours before the departure time, a refund will be given after a 500 Baht processing fee has been deducted. If you cancel your transfer less than 24 hours before the departure date, no refund will be given. All cancellations must be in writing. If you need to change your transfer in any way, this will be done free of charge 24 hours before the trip by email or calling ahead on the emergency contact number provided. Please note AmazingLanta.com acts as a booking agent for South Online Travel who operate the Express Transfer service. AmazingLanta.com is not responsible and accepts no liability for delayed transfers, lost luggage, accidents, personal injury or any of South Online Travel's operations. By making a booking you agree to these terms and conditions. Alternatively, if you have any questions, you can email us using the orange Enquiry Form below and once you are ready to book, we can email you a PayPal Invoice to pay for your transfer. How Much Faster Is The Express Transfer Than The Private Minivan Transfer? 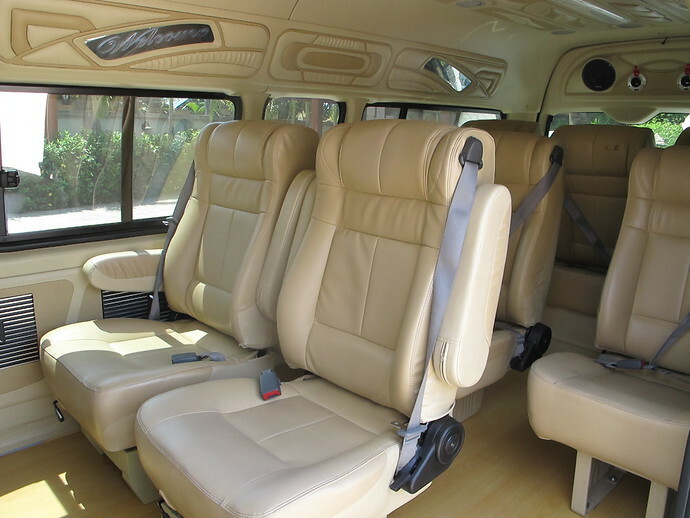 The Express Transfer takes 1.5 to 2.5 hours door to door from your Koh Lanta hotel to Krabi Town. 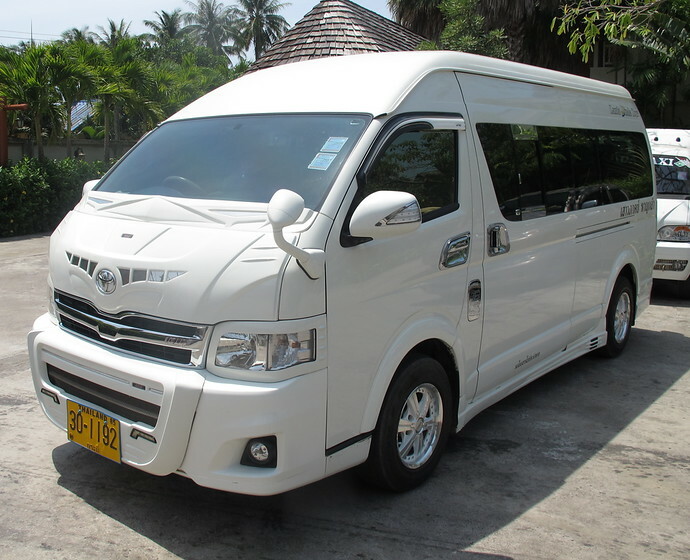 The private minivan transfer usually takes around 3 to 4 hours door to door, depending on how quickly the two car ferries for the crossing from Koh Lanta to the Krabi mainland operate. The Express Transfer saves time by making the crossing by speedboat, so bypassing the wait for the car ferries. Can You Recommend A Hotel Or Villa On Koh Lanta? Koh Lanta enjoys a wide variety of accommodation – we have recommendations for the best Koh Lanta family hotels, best Koh Lanta luxury hotels, Koh Lanta beach bungalows and also a comprehensive range of Koh Lanta Villas to rent. Booking.com also has a wide selection of Koh Lanta Hotels to book online with Lowest Prices Guaranteed.